Online pharmacies – a threat to independent pharmacies? 2005 marked the arrival of Internet pharmacies. Although a slow buildup, the UK is experiencing increasing growth in the number of Internet pharmacy licenses, indicating that this channel may well become a genuine alternative to traditional pharmacy. With the rise of the connected consumer, online pharmacies might be a competitive force in the pharmacy landscape for the independent pharmacy world. Customers increasingly live and interact in a digital world. Digital technologies have empowered consumers to seek information and interact with suppliers in the way they choose, when they choose. There is a demand for convenience, expertise and accessibility therefore pharmacy models need to adapt and upgrade their services to meet these needs. 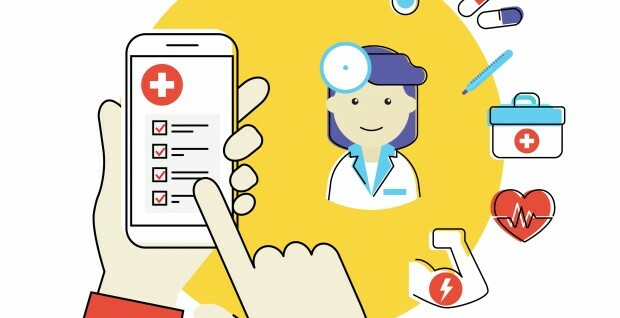 We are experiencing a shift in the way health is being delivered, with more and more apps developed to track patients’ health. The Pharma Industry is still a conservative and highly regulated industry but digital is becoming more permissive, as consumers are driving this change. The Department of Health said that they are determined to improve access and the choice of pharmacy services available. Nevertheless, there will be strict rules to ensure that Internet pharmacies provide a professional service and it will have to be monitored extremely closely. Superdrug, Co-operative and Lloyds pharmacies are just a few examples that have implemented online doctor platforms. They work with NHS accredited doctors and they are regulated by Care Quality Commission and the Regulation and Quality Improvement Authority. The process is fairly straightforward, patients have to fill in a form, a doctor reviews it and assuming they are suitable, they will get a private electronic prescription. Following that, medicines are safely and securely dispatched. Online pharmacy is still in its early stages, some of the large chains are reporting sales of only 1 per cent of total revenue through online channels. However, this is expected to grow in popularity, as the UK is after all the largest online retail market in Europe. Independent pharmacy could experience a drop in sales if they don’t manage to adapt to the market. Internet pharmacies are a good idea, as long as people are not allowed to misuse the service. It’s about giving people more choice but making sure at the same time the patients’ medical records are accurate and the medicines don’t fall in to the wrong hands. What are your thoughts on Internet pharmacies?